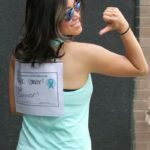 Reporter and Ovarian Cancer survivor Stacey Sager along with T.E.A.L. 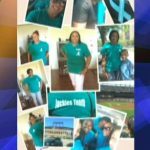 Media sponsor WABC Channel 7 Eyewitness News have joined the movement this September to help spread awareness about Ovarian Cancer throughout New York. Stacey Sager hosted this year’s 6th Annual T.E.A.L. Walk/Run and did a T.E.A.L. Public Service Announcement which aired throughout September. Watch Stacey’s PSA below and WABC’s coverage of this year’s T.E.A.L. Walk/Run for Ovarian Cancer which brought thousands of people to Prospect Park on 9/6/2014 to walk or run for Ovarian Cancer. With their help, T.E.A.L. was able to reach a larger and more diverse audience than ever with this life saving information.